Nanaimo is possibly best known for its very popular sweet dessert “Nanaimo Bars” or for its annual Bathtub Racing contest! 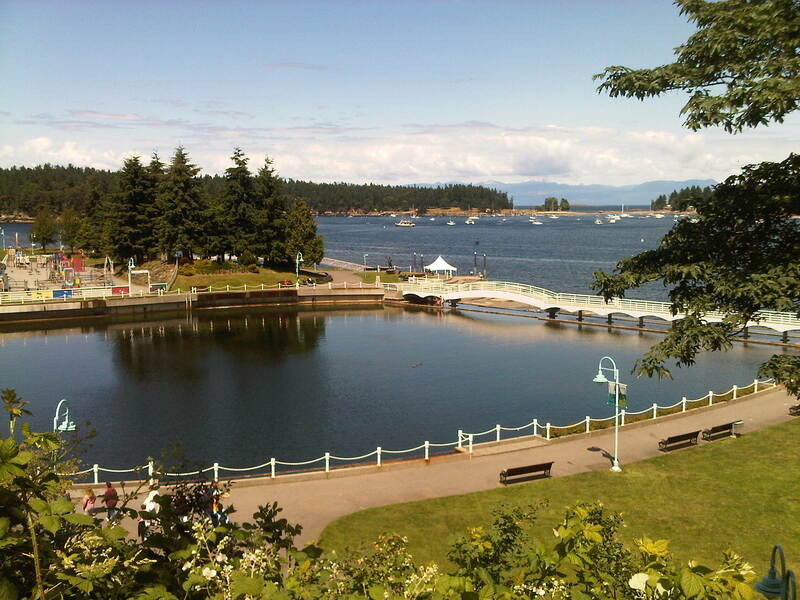 With a population of almost $85,000, Nanaimo is located on the East Coast of south-central Vancouver Island in British Columbia. It is dubbed the “Harbour City” and it is indeed a gateway to many aquatic activities in the area, as well as to ferries to Protection Island, Gabriola Island, and Greater Vancouver (West Vancouver and Tsawassen). Visitors can stroll the downtown and check out many unique shops, cafes, and restaurants, or visit the art galleries or museum. A walk along the waterfront is popular with visitors and locals alike. The Port Theatre is located near the harbour as well and offers a wide variety of high quality entertainment. Further afield, visitors will find Vancouver Island University, good shopping, movie theatres, several public swimming pools and other recreation facilities, and a large number of beautiful parks. Visitors can also take advantage of opportunities for boating, fishing, scuba diving, mountain biking, and more adventure activities. For more information go to Nanaimo Tourism or Hello BC.